I HAVE JUST BEEN ELECTED to the Labour East regional board with my comrade Joanne Rust to represent Norfolk. Members ask me why? What does the regional board do? Is it important? Having been one of the founder members of Momentum Norfolk, I had since early 2016 been working to develop a network of local Momentum groups across Norfolk. The aim was to establish a foothold in as many CLPs as possible. And then I heard about the regional board. I attended 2017 regional conference and stood as a candidate, just missing out. So why bother? What are the aims of the regional board? And what does it mean in practice? It is principally about organising to win elections, and that includes the regional board appointing one of its own members on behalf of the NEC on parliamentary selection panels. There is no evidence that region is at all interested in campaigning politically or in developing grassroots activism. That is why I decided to get involved on the regional board. That is why I want to develop a more proactive approach and for the regional board to work with CLPs across the region to promote political campaigning. To that end we CLP representatives need to work more closely with our trade union brothers and sisters. 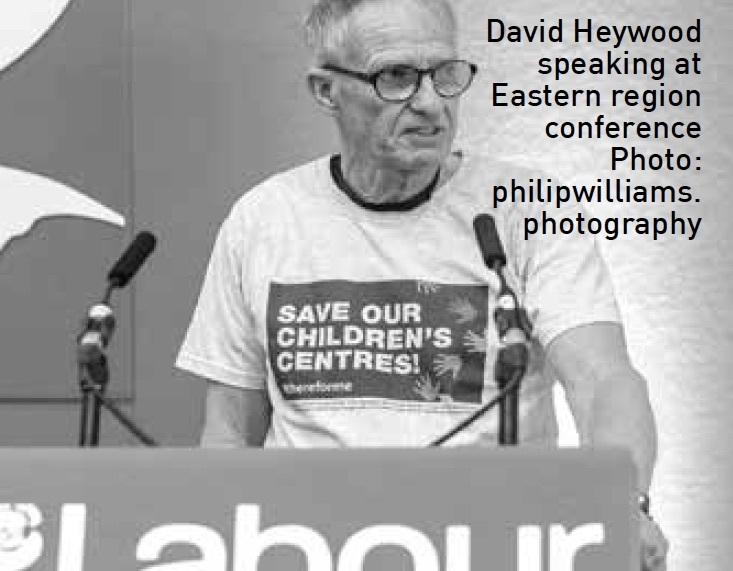 This year’s regional conference gave us building solidarity with communities, firefighters’ pay, the closure of Britvic/ Unilever in Norwich, profits before pupils (academies), housing, and solidarity with exploited workers. All are subjects which lend themselves to grassroots campaigning involving local Labour Party units. The left made some progress with elections to the regional board, gaining eight places including the two young member reps. We have started to build a left alliance with trade union delegates and hopefully this will bear fruit as we move to make the regional board more democratic and proactive. So over the next twelve months I plan to argue for greater transparency and for the way elections are conducted to change. I would like to see regional board members elected by OMOV (one member one vote) within each county and for the regional board officers to be elected by delegates rather than by regional board members. chair Broadland CLP in Norfolk and founding member of Momentum Norfolk.